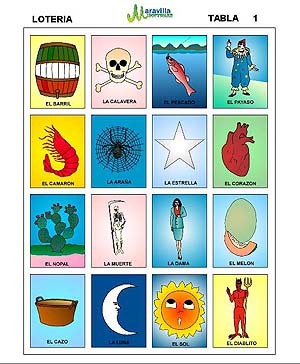 The Loteria is game of chance, Loteria is something like Bingo, using pictures instead of numbers. But Loteria is much more than that. The beautiful artwork associated with Loteria has long captivated consumers from all nationalities and walks of life. Some say that the Loteria artwork has truly captured the joy, as well as the sadness, of the Mexican history. Loteria images may be used anywhere from tapestries to blankets, to wall hangings and artwork. You are limited only by your imagination. There are Loteria contests and tournaments. Loteria devotees recite poems created for the game, and talented artists create new card images. King Charles III of Spain established la loteria nacional in 1769. The contest quickly spread across the Atlantic and profits from the national pastime helped to fund schools and hospitals. 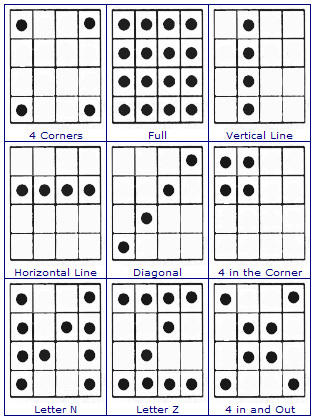 In Bingo, a number/letter is randomly drawn, usually from a rotating drum. But in Loteria, a card with a colorful image is drawn from a special deck. 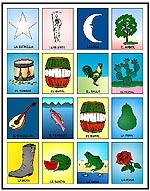 The board (or tabla in Spanish) is decorated with a random pattern of the images found on the cards.The announcer recites a short poem or familiar phrase which hints of the image on the card. Many times this event becomes quite colorful, as the announcer improvises using satire, witty sayings, or referring to current events. In this respect, the game can even become a social commentary. Loteria Workshop presents a wonderful opportunity to share in the Mexican culture and tradition. images of the same character in the center of the playing board.